Are you ready to have the best summer of your life? Working at Covenant Harbor is no ordinary summer job. In fact, it will probably be the best job you ever have. – Like ever. If you think God might be leading you work at Covenant Harbor this summer, take a look around and be sure to fill out an application. Your summer could look like this! All the details on working this summer at camp! We are so excited you feel God is calling you to work at Covenant Harbor this summer! Again, we are looking for fun, hard-working individuals who have a contagious love for Jesus. If you feel this might be you, apply below. Applications now available. You can apply online by clicking the button below! Housing is provided on site, and meals are provided with the exception of your time off. Yes! You do get time off! Time off gives summer staff the opportunity to rest, explore Lake Geneva, worship at Covenant Harbor’s Summer Sunday Worship or another local church, build community with fellow staff, and/or do laundry. Most staff have 24 hours off each week from Saturday afternoon to Sunday afternoon. Time off during the week varies by position. We do ask that summer staff commit to serve at Covenant Harbor from the listed start date to the listed end date. Exceptions may include “once in a lifetime” events like a family wedding or graduation. Each Day Camp staff member will take one week off as determined with the Youth Ministry Team. Throughout the summer, summer staff have many opportunities to grow closer to the Lord. We hire two staff members (Men’s and Women’s Team Counselors) to develop community and coordinate daily devotions for the staff. Covenant Harbor encourages staff to find a local church or attend a Summer Sunday Worship service on grounds in the Tent. We also find that staff grow in Christ in big ways as they lean on Him in this job and in this community. One of the best things about working at camp is the community that develops during the summer. We hire around 75 imperfect people who serve a perfect God, and we work all together to share His message with campers. It’s incredible. Together we learn, overcome challenges, and grow in our relationship with God. Community at camp truly is a rare and wonderful thing. Internships: We offer many of our positions as internships and work to make sure that you are able to meet your internship objectives. In every position, we will work with you to help you learn skills and gain experience that you can directly transfer to your professional life post-camp. No matter the career you may eventually choose, camp can help equip you for it. Through summer staff training and hands-on experience, you learn how to do so many things very well. When you challenge yourself to try new things like facilitating an adventure activity, comforting homesick campers or teaching campers a new skill, you can’t help but become a better leader. 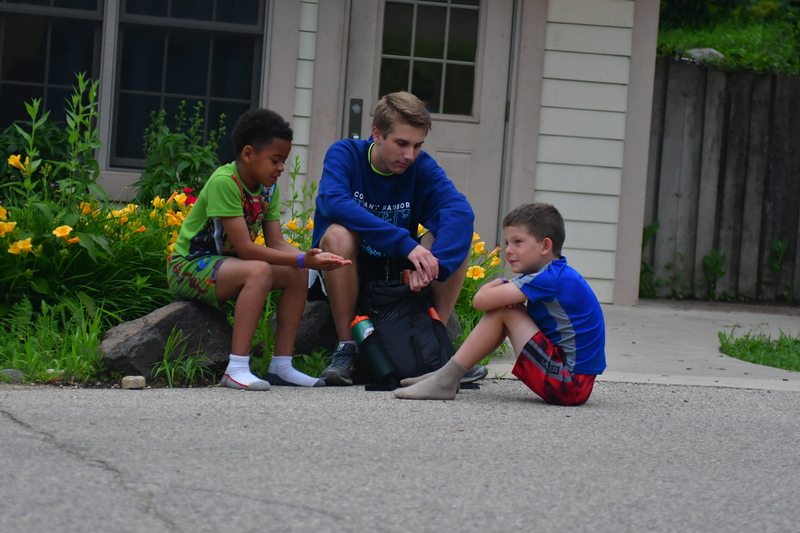 North Park University Camp Grant for current NPU Students: North Park University (NPU) offers $750 to students who attend NPU and return the next school year after working at a Covenant camp in the summer. This Grant must be applied for in the spring semester. Contact North Park University for more information. Sterner Scholarship Fund: The Ronald Lee Sterner Trust Fund was established by the Sterner family in 1957 in memory of their son who was adopted through Covenant Children’s Home and Family Services. To apply, download and print a Sterner Fund Application Form, then send it to the address listed. Applications will be considered within a few weeks of receipt. You can even apply before you’re officially hired, the decision will be dependent on your employment. Thank you for your interest in volunteering at Covenant Harbor! Each summer, we rely on former summer staff to come and volunteer in various roles. We appreciate our alumni immensely! Because Covenant Harbor is a child care provider, we must maintain the highest standards for anyone who works with our campers. Therefore, volunteers must submit a volunteer application to serve at camp in the summer. Volunteers in summer programs must be former summer staff (or occasionally former Alpha campers) who have been through our training program. Former staff wanting to volunteer can contact the Youth Ministry Team and fill out a volunteer application (coming soon), complete with one reference. Once we receive your application, someone will contact you about the details of your job. Thanks again! Volunteers who don’t meet these criteria can see other year round volunteer opportunities or contact Brad Augustson. Contact Kelly Elwell at (262) 248-3600 or via email.